Find Myers Park, NC New Homes for sale. View Photos, Maps and MLS Data Now! Prime Cotswold location just steps to Shops/Restaurants & Minutes to Uptown or South Park. MLS#3476154. Dickens Mitchener & Associates Inc.
Prime Cotswold location just steps to Shops/Restaurants & Minutes to Uptown or South Park. MLS#3476153. Dickens Mitchener & Associates Inc. Furnished home pictured is our model with the same floor plan. MLS#3481756. Simonini Realty Inc. Your drive to all the amenities at the Cotswold Village Shops and the new Publix® is only 1.4 miles. MLS#3476026. Savvy + Co Real Estate. Your drive to all the amenities at the Cotswold Village Shops and the new Publix® is only 1.4 miles. MLS#3476067. Savvy + Co Real Estate. Your drive to all the amenities at the Cotswold Village Shops and the new Publix® is only 1.4 miles. MLS#3476053. Savvy + Co Real Estate. Contact listing agents for specs and additional info. MLS#3473159. Cottingham Chalk. 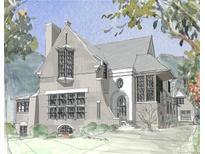 Eastover - Design features subject to change. See brochure link. MLS#3456596. Dickens Mitchener & Associates Inc.
Southpark - Contact listing agent for more details. MLS#3472429. SaussyBurbank.